The storm clouds in Indiana have been really interesting lately. I loved this shot and thought I’d share. Dark and scary but if you look toward the horizon there is a bit of light. Just like life I guess. 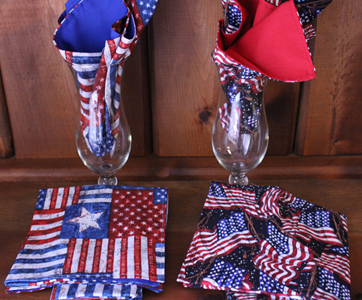 Just a reminder that anyone needing any custom decor 4th of July placemats or napkins, the cut-off is Wednesday the 12th. There is a waiting list but the order will be delivered to you within two weeks and in plenty of time for your celebration.